This is liquid aromatherapy extract made from the seeds of the Nymphaea cerulea plant, often referred to as Sacred Blue Lily of the Nile. The seeds and flower petals contain the highest concentration of active components, and this rare aromatherapy extract does indeed contain only the seeds of this sacred plant. We only get this product in around harvest time, and it sells out quickly, but we feel that it is worth the wait. (Nymphaea caerulea) was held in very high esteem by the ancient Egyptians, who worshiped it as a symbol for the origins of life. Traditionally, a cigarette made of dried Nymphaea caerulea flowers was smoked during Egyptian ceremonies. The Egyptians believed that the world was originally covered by water and darkness. A blue lily sprang up from the water and opened its petals to reveal a young god; a divine child. Light streamed from the divine child to banish universal darkness. This child-god was the creator, the sun god, the source of all life. When the pharaoh known as King Tut was entombed, his body was covered in Nymphaea caerulea flowers. The history of the rare Egyptian blue lily was revealed on a PBS special. The blue lily was traditionally used to treat aches and pains, improve memory, promote circulation, and promote sexual desire. According to recent studies, blue lily was found to be loaded with phytosterols and bioflavonoids. 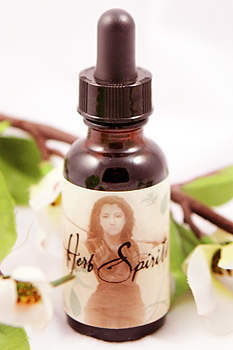 Traditionally, it has been used to support a natural sense of well-being.